The great expedition of Retail software systems has been amazing with the progress and fast development in technology. From simple billing systems to fast, integrated and robust single platform system, able to suggest and make decisions of its own, meanwhile providing the best and accurate reports, retail and POS systems have become a definite business partner of retail and business owners. What is cloud-based retail software? 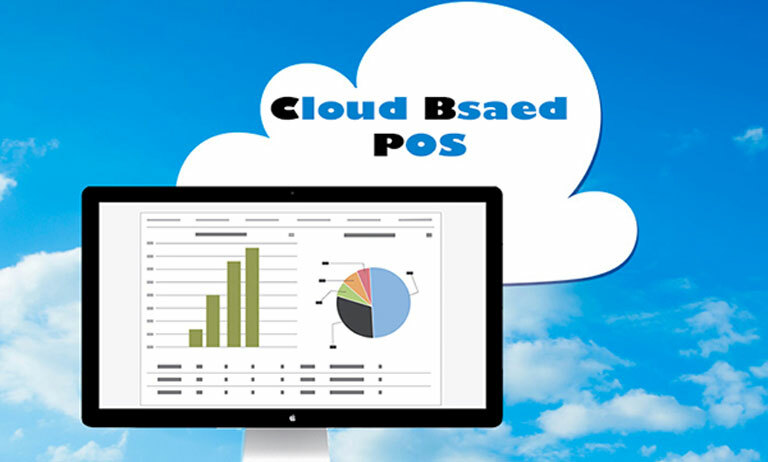 In simple terms, a cloud-based POS means each and every data storage and processing is done online. Instead of previously used local computer hard-drives, the data about your customers, the sales figures, the product information, everything is stored on the server through the internet. Why use cloud-based retail software? Data Redundancy: Storing data online, means no issues with loss of data, as off-site data handling and processing broaden the number of devices that can access them. Real-Time Reporting: All the cloud-based POS systems provide customizable in-depth reporting, data analytics, and even specialty programs for specific projects. Remote Access : Owners and managers can see real-time status of their business being present anywhere in the world on their mobile. Scalability : Scaling your business becomes easier and cheaper using a cloud-based POS platform. Up-front costs are minimized in exchange for lengthy subscription fees. An industry standard customer-friendly IT strategy : Almost every retail software has now shifted its course of action online and it has become an industry standard from the past 5 years. There are a lot of opportunities and creative thinking which are once inculcated with your software can provide a customer friendly environment to your shop. Less Downtime : As widened access, even if your processor is down, you can immediately shift to new PC, saving your time and money, as well as customer satisfaction, is fulfilled, which is must. Cloud-based Billing software for a retail shop is hence a proper Cost Effective method to run your business as usual but with ease, advanced and automated system. Hence, it has all the powers to control your business. And with great powers comes great responsibilities. Customer satisfaction is your duty, and data security is a necessity. Data is encrypted before storing it off-site. Security from malware and viruses since the system is online. 24/7 several redundant layers of security. Domain-specific password protected login i.e an admin (retail shop owner) can have access to everything and can create users (managers and executives) and give them access to an only certain number of elements, providing employee fraud-free system. No need to keep the keys of your server room since no physical data breaching can occur. It is now a sure thing that cloud-based retail software is a versatile full fetched meal for you, designed by experts across the country and the world. The better part is, you don’t have to worry about the technological details, because the software providers like PAIT BIZ Pvt Ltd provide 24x7 customer services. We, PAIT BIZ Pvt. Ltd. have been providing Hardware AMC in Pune, retail software and POS Software services to retail owners from leading supermarkets to small businesses in the Pune city market, spreading our webs across India.